Over MIT’s extended winter break, I received a grant to travel to Fiji to research the informal sector, or slums, in and around Suva. 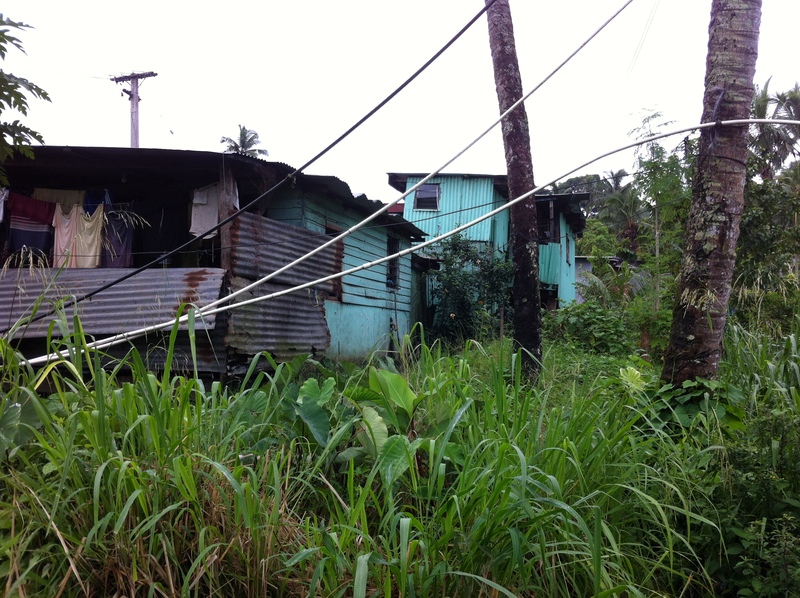 The United Nations Estimates that by 2030, 69% of Fiji’s population will live in the informal/slum housing, compared to 35% in 1970 (UN 2004). Senior officials that I interviewed in the Ministry of Local Government, Housing, and Environment estimate that there are around 100,000 people living in slums in Fiji, with 60% of those in Suva. Each squatters’ settlement houses around 500 people. 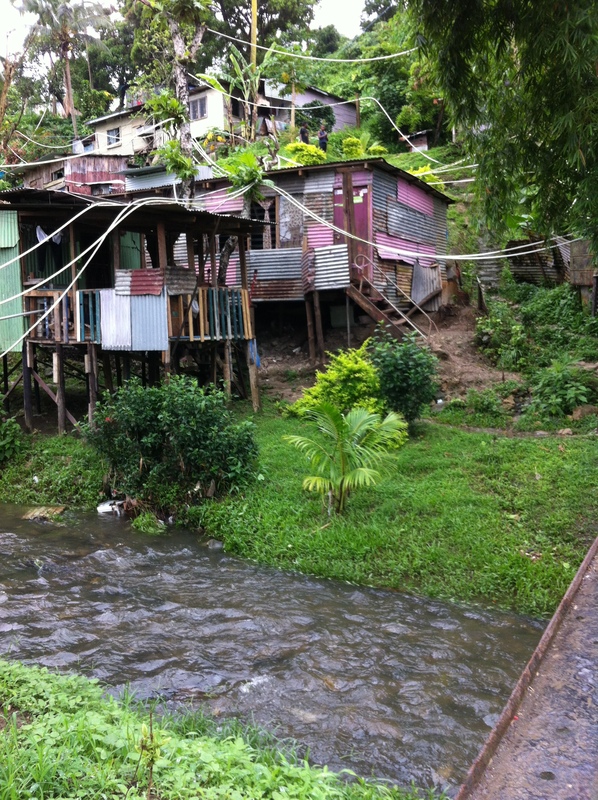 I visited some of the larger ones holding ten times that, named Jittu and “Muslim League.” These high density informal settlements attracted people for several reasons relevant to rural to urban migration: livelihoods, high rents in central Suva, insecure land rights, breakdowns in traditional family-land structure, and village decline. In my research, I used participatory action research to jointly determine with residents how squatters framed their own environmental risk/vulnerability. I collected 15 in depth interviews with squatters, 7 in Jittu and 8 in Muslim League. Inhabitants discussed themes related to environmental risk, how they adapt to such risk, and where they draw resources for this adaptation. People who I talked to were theory based initially, with a sample that grew via the snowball effect, where respondents introduced me to their neighbors. Everyone I spoke to was concerned about two major environmental risks: cyclones and flash floods. They realized major assets they held that other people living in informal settlements did not have: larger amounts of green space around their houses. This green space was used by some to add to their adaptive capacity in big storms. 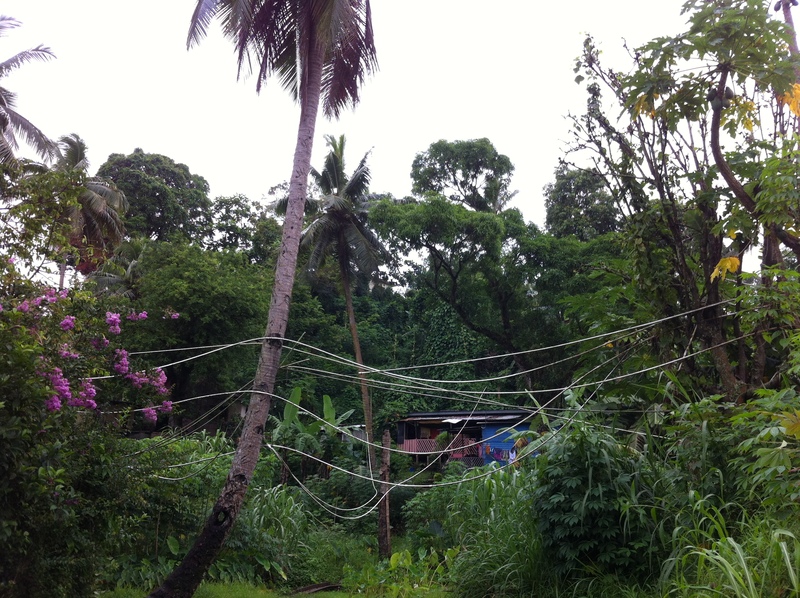 They knew that many different types of plants meant that “storm water went away faster” as one man in Jittu put it. Thus, local usage of biodiversity in flora was a common sense tool to increase adaptive capacity to environmental risk. The large amounts of green space in slums was striking. 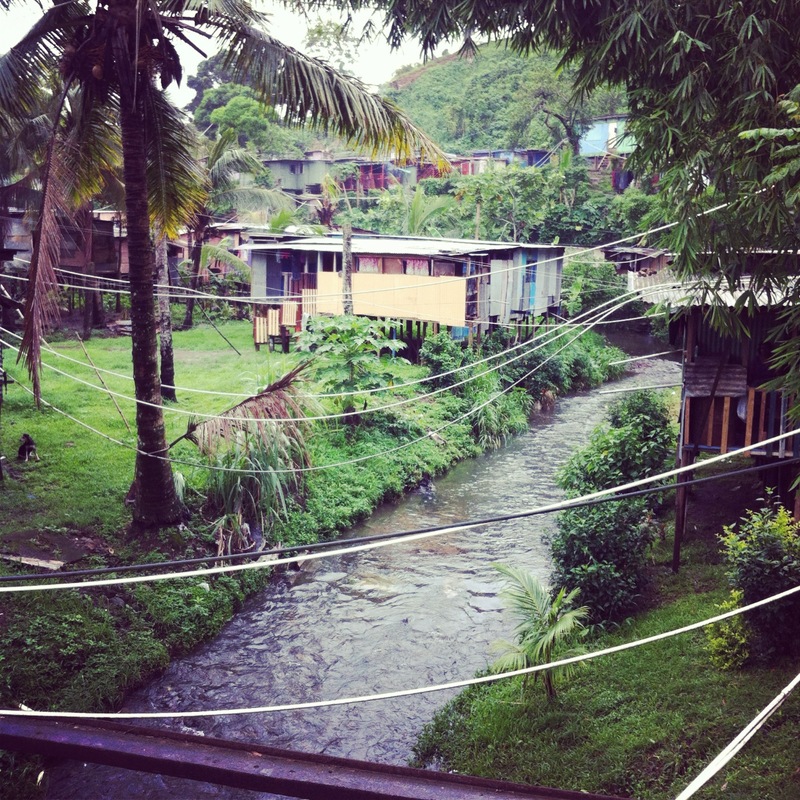 It is not often that researchers note the verdant look of an informal housing unit, however in Fiji this was universal. Here are some photos from Jittu and Muslim League. 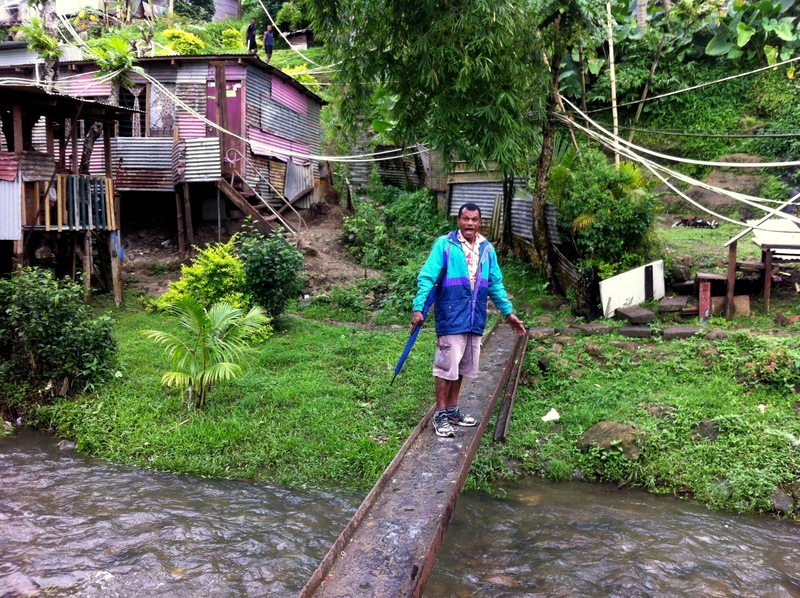 This entry was posted in Coastal and Marine Ecosystems and tagged coastal settlements, Fiji, informal sector, participatory methods. Bookmark the permalink.